Cullman Amateur Radio Club | The Cullman Amateur Radio Club is an ARRL affiliated, Special Service club formed for the purpose of promoting amateur radio in our community. The Cullman Amateur Radio Club is an ARRL affiliated, Special Service club formed for the purpose of promoting amateur radio in our community. The Cullman Amateur Radio Club of Cullman, Alabama with the callsign N4TUN, is an ARRL affiliated, Special Service club formed for the purpose of promoting amateur radio in our community. The Club offers many avenues for your amateur radio enjoyment and growth. We actively support the Cullman Emergency Management Agency and Skywarn as well as several community service agencies. Our Weekly RACES Training net is held each Sunday night at 8:30pm local time, on the N4TUN repeater (145.31- ,100hz tone). This is a directed net, aimed at making all amateurs more proficient in net operations and handling traffic. All amateur operators are welcome to check in with us on this net, so come join us! The Club meets the 3rd Tuesday of each month beginning at 7PM at the Cullman County Commission On Aging Bldg (MAP), located on Sportsman Lake Road, just off Highway 31 North. Guests are always welcome! The Club additionally offers a testing session, conducted on the 2nd Thursday of each month at 7PM, also at the Commission On Aging Bldg. All levels of tests are provided. We have a social time, an “Eating Meeting,” if you will, which is normally scheduled during the week of the Cullman County Fair to reduce scheduling conflicts. 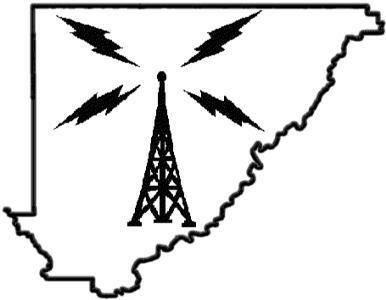 The Cullman HamFest is sponsored and financially supported by the members of the Cullman Amateur Radio Club, whose members contribute their time and effort in promoting a high quality hamfest. If you will be visiting the Cullman, Alabama area during our HamFest in July, please drop by and enjoy the show. We love having new visitors and guests.